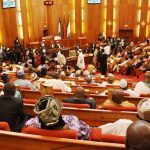 Senate President Bukola Saraki has confirmed hospitalized Senate member, Dino Melaye stable. Reports emerged that Melaye went into Coma. 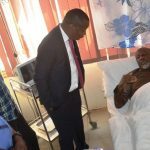 The senator representing Kogi west is being treated at the National Hospital in Abuja after sustaining injuries while trying to escape from the police vehicle conveying him to a court in Kogi State on Tuesday, April 24. 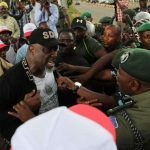 The police had accused Melaye of supplying guns to some murder suspects, who allegedly confessed that the lawmaker is their sponsor. 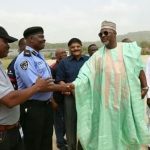 Melaye has since denied the allegations, accusing the Kogi State Governor Yahaya Bello of being behind his police ordeal. 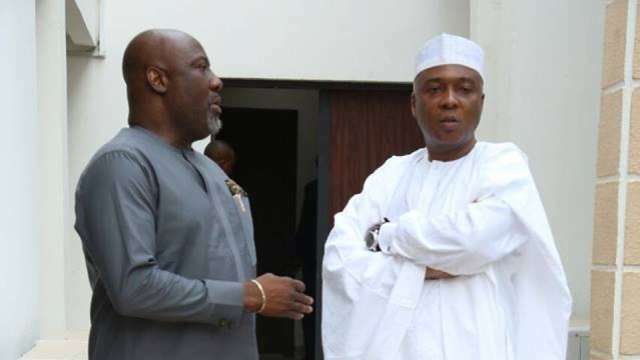 On Wednesday, April 25, Saraki led a team of senators to visit Melaye in the hospital, where dozens of policemen were stationed to secure the Kogi senator. Speaking to journalists after seeing the senator, Saraki said Melaye is temporarily stable and that he has not eaten in 24 hours. “After the sitting at the senate today, we resolved to come here because over 24 hours we have not heard of know about the state of senator Dino. We’ve just seen him and he is in intensive care. 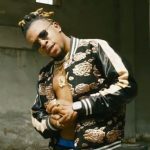 He’s stable for now,” the senate president said. “We know he hasn’t eaten for the last 24 hours, we are trying to resolve that. He’s on fluids and he’s being seen by cardiologists, all specialists. As you know, he has other (health) issues, he’s asthmatic. We are a bit concerned but for now we thank God he’s stable. 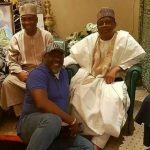 According to a photograph circulating online, Melaye was handcuffed to the hospital bed. 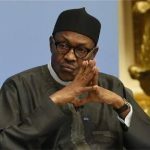 It is believed that the chains had been removed prior to Saraki’s visit. 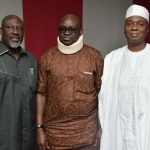 It was gathered that about 40 senators accompanied the Senate President to the hospital but only seven of them were granted access to Melaye at the trauma centre of the hospital.